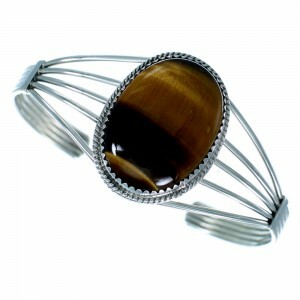 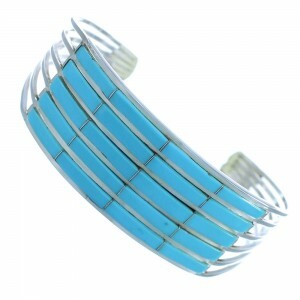 Our Native American bracelets blend timeless classic style with innovative artistry and design. 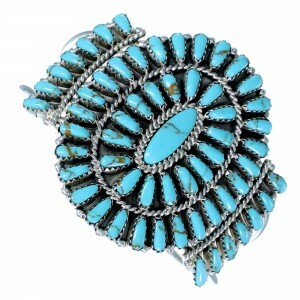 Tribes of the American Southwest have been designing and producing Native American bracelets for generations and today’s designs are inspired by the creativity and artistry of the original Native American jewelry makers. 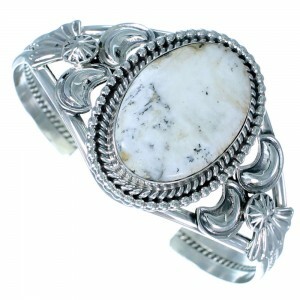 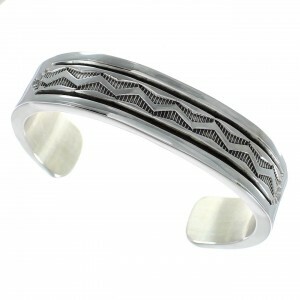 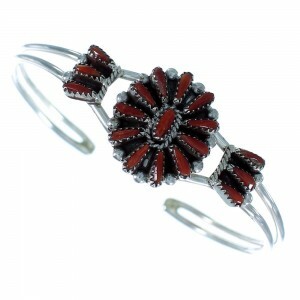 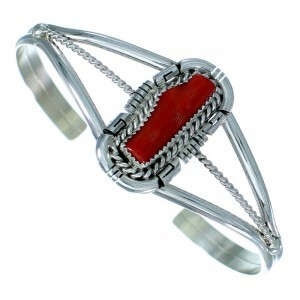 At NativeAmericanJewelry.com, you’ll find a great selection of Native American bracelets in a variety of styles inspired by tribes like the Navajo, Zuni and Hopi. 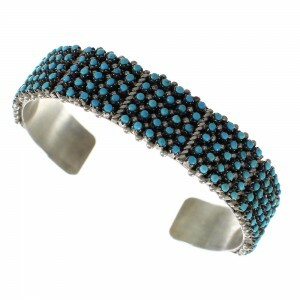 The Zuni tribe is known for dazzling use of a spectrum of colors. 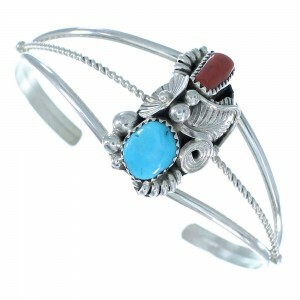 Multicolor Native American bracelets fashioned in this style display incredible use of multiple stones, which are carved and placed expertly in sterling silver. 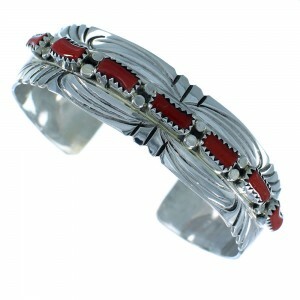 Native American bracelet designs inspired by the Navajo tribe often feature larger stones and carefully designed and molded silver. 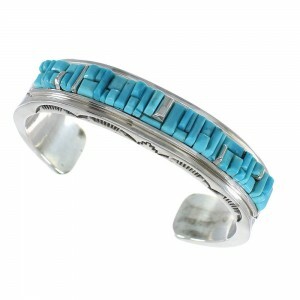 Coral, turquoise and oyster shell are just a few of the vibrant gemstones used in our collection of Navajo bracelets. 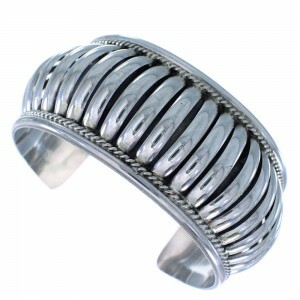 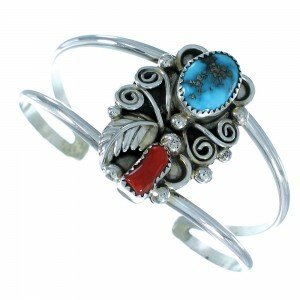 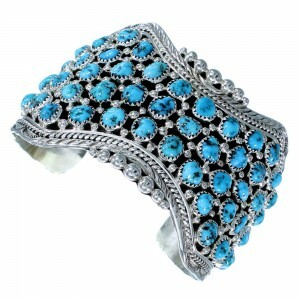 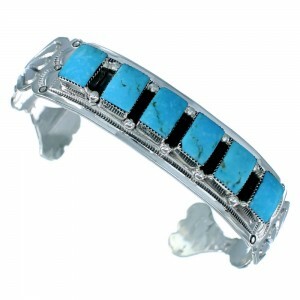 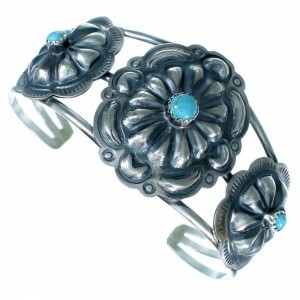 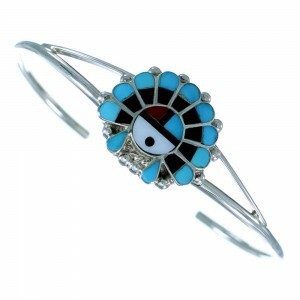 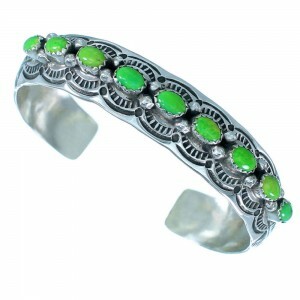 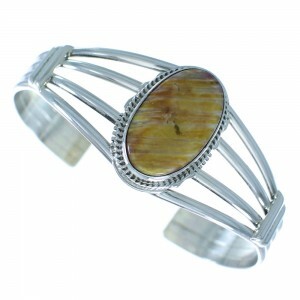 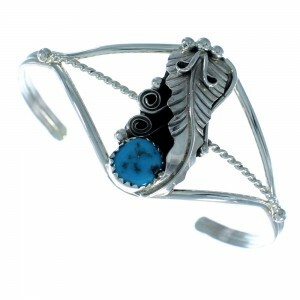 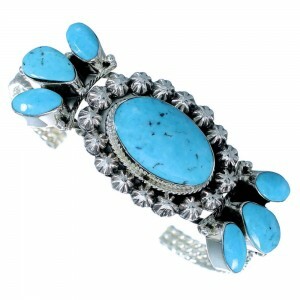 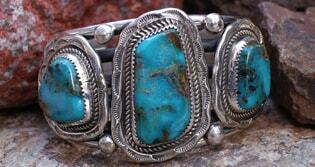 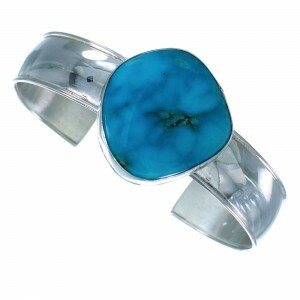 Navajo turquoise bracelets are among out most popular selection. 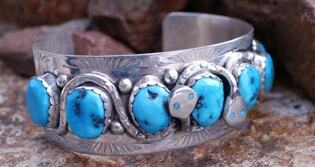 Historians believe the Navajo were the first tribe to begin working silver in the 19th Century, when a Mexican blacksmith passed on the art. 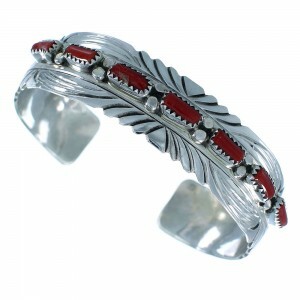 The Hopi tribe picked up the skill soon after and to this day makes some of the most sought after Native American bracelets on the market. 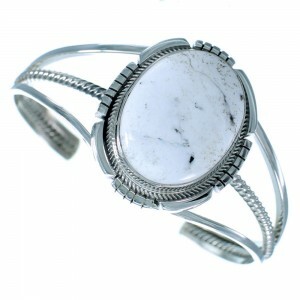 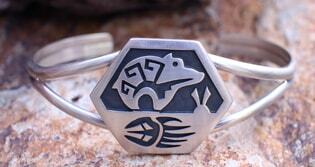 Don’t expect to see many stones in Hopi bracelets. 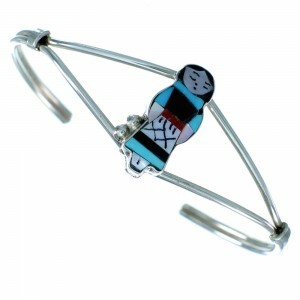 The Hopi are known for intricate engravings featuring shapes and symbols that have been an important part of tribal culture since long before their language was put to paper. 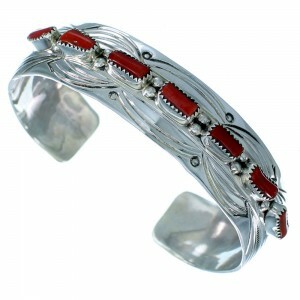 Our Hopi Native American bracelets are designed to reflect the rich cultural history and careful craftsmanship of these beautiful American Indian bracelets. 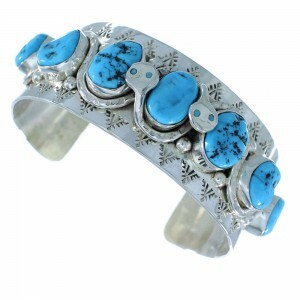 For Native American bracelet styles inspired by the rugged beauty of the Southwest and its people, stick with NativeAmericanJewelry.com. 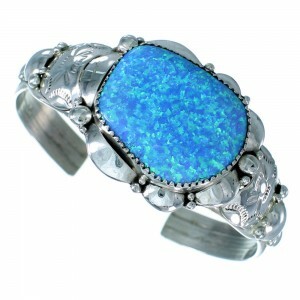 We always offer a leading selection of beautiful items that will always ship for free to all U.S. addresses. 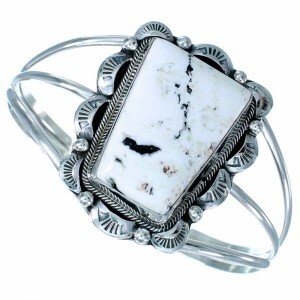 Find a piece that inspires you today.